I was born in the Philippines and migrated as an early teen with my parents to the United States in 1970. I have always lived in the San Francisco Bay Area. 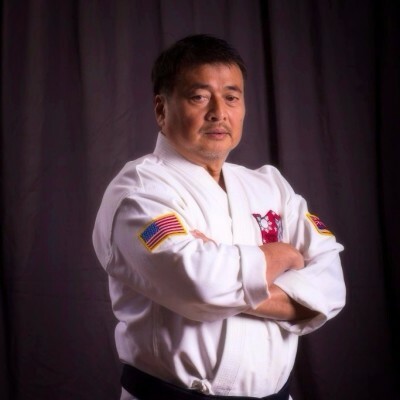 I began studying with Great Grandmaster Ralph Castro in 1992 and earned my black belt in 1997. I received my 3rd degree in 2016 and was awarded the dance "Ripping Tiger". Teaching students self defense and passing along the art of Shaolin Kenpo is something that is close to my heart . I've been called "Uncle Jon" all my life. Since I am the youngest of five siblings, I am only 5 years older than my oldest nephew. I was inspired by martial arts as a kid after watching my first Bruce Lee movie. I started taking my first lessons back in 1979 at Ralph Castro's Kenpo Karate. After a 30 year break, I came back to school and restarted my training. I have a background in wrestling and Filipino martial arts (FMA). 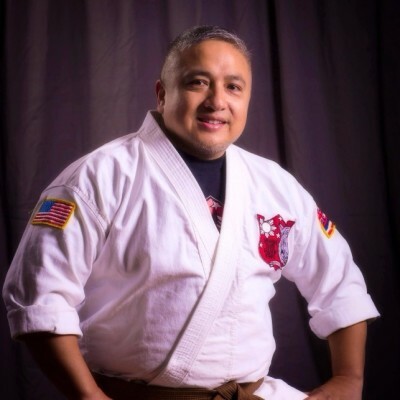 I studied under Great Grandmaster Ralph Castro in Daly City back in the 90's. Alongside with my sister, who I am 100 times better than in Kenpo, we both earned our brown/black belts. 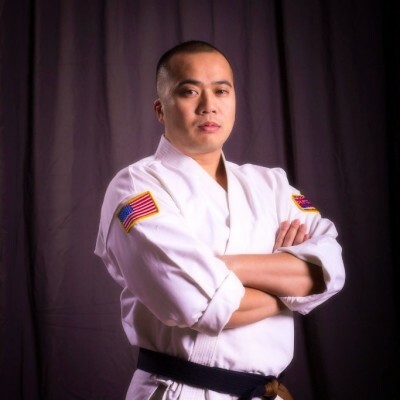 Growing up, Ernie Reyes Jr. was my martial arts hero. You remember him..."Go Ninja, go ninja, go!". Yeah, he was awesome in that movie. I recently came back to Kenpo for my dad. I enjoy running half marathons and spending time with my two daughters. I enjoy long walks on the beach at sunset...cooking spam...shooting arrows. OH this is not that kind of bio. Well, I have always loved martial arts - from movies to participating in matrial arts activities. 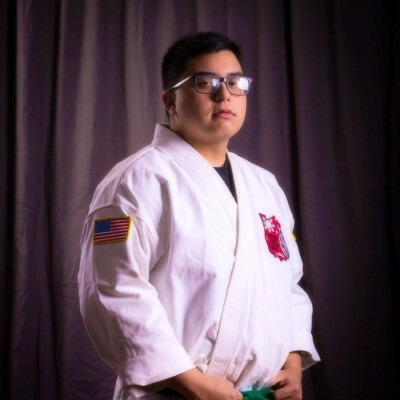 I feel martial arts trains you inside and out; both physically and mentally/spiritually. 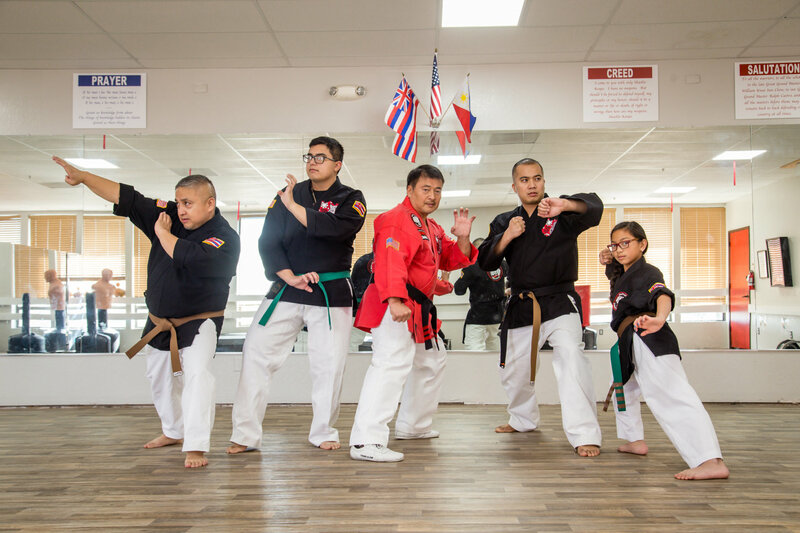 Martial arts has given me confidence, respect, discipline, and family value. There is no one correct martial arts - there is only what works the best with a student. 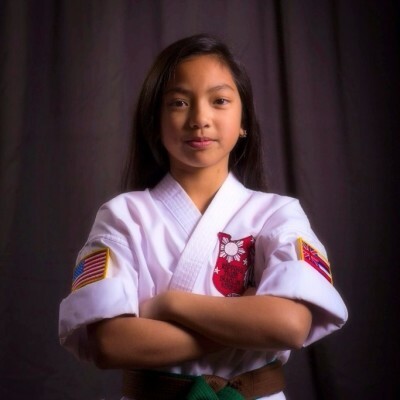 I started my training under Great Grandmaster Ralph Castro at 6 years old and continue to study at Shaolin Kenpo Martial Arts in Daly City. My goal is to earn my black belt so I can lead classes on my own. I love love LOVE to draw during my free time! When I grow up, I would really like to be a photographer because I enjoy capturing special moments.